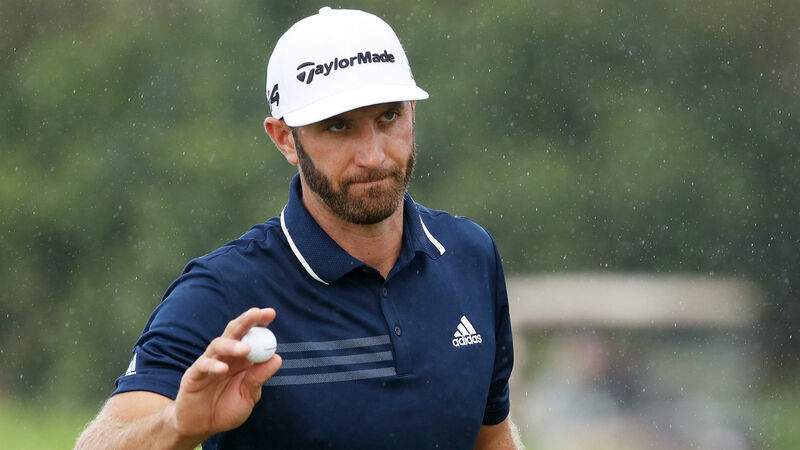 Dustin Johnson earned his 19th PGA Tour victory Sunday at the RBC Canadian Open, defeating Whee Kim and Byeong Hun An by three shots. Johnson finished the week 23 under, firing all four rounds in the 60s. Despite a lengthy rain delay, he shot a 6-under 66 Sunday to break out of a four-way tie atop the leaderboard to start the final round and win for the third time this season. With his victory this week, Johnson has now won at least three PGA Tour events in three straight seasons. “That’s not possible.” [email protected] just hit a pitching wedge 180 yards. Still ranked No. 1 in the world, Johnson had to rebound this week after missing the cut at the Open Championship last week at Carnoustie. Still with just one major championship on his resume, Johnson will hope to use this momentum to propel him to a win next month at the PGA Championship. Kim and An, both tied for the lead to start the final round, finished in a tie for second. The both birdied the 18th hole Sunday. Keegan Bradley gave all the leaders a fright early Sunday, jumping up the leaderboard with an 8-under 64, but he finished the tournament fourth at 19 under. Abraham Ancer finished fifth at 18 under after firing a final-round, 5-under 67. Tommy Fleetwood finished tied for sixth with Danny Lee at 16 under after shooting a 6-under 31 on his back nine Sunday. Fleetwood had four eagles this week, including three in Round 1.